made out of. Stop by The Old Motor where we have many more photos and information and look for your input. Edited by THead, 15 May 2012 - 17:20. Ah, the "Spirit of Elkdom", a classic case of a sledgehammer and a walnut, when compared to the Stutz Blackhawk. I think you'll find it surpassed Malcolm Campbell's record, as Donald was only born in 1921! 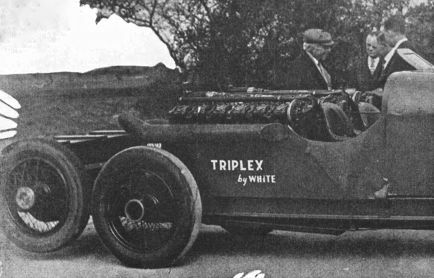 I have only ever seen six pictures of this car stationary, and there's a fair few modelers who would have killed to see that picture a few years ago. As yet, I have never seen a picture showing the installation of the extra "reversing" axle, fitted to comply with the regulations. Sadly the car did little for Lee Bible or Mr Traub. Were they aero, or tank Liberties?? It certainly is a "Sledgehammer". Thanks for catching my typo about Campbell...... 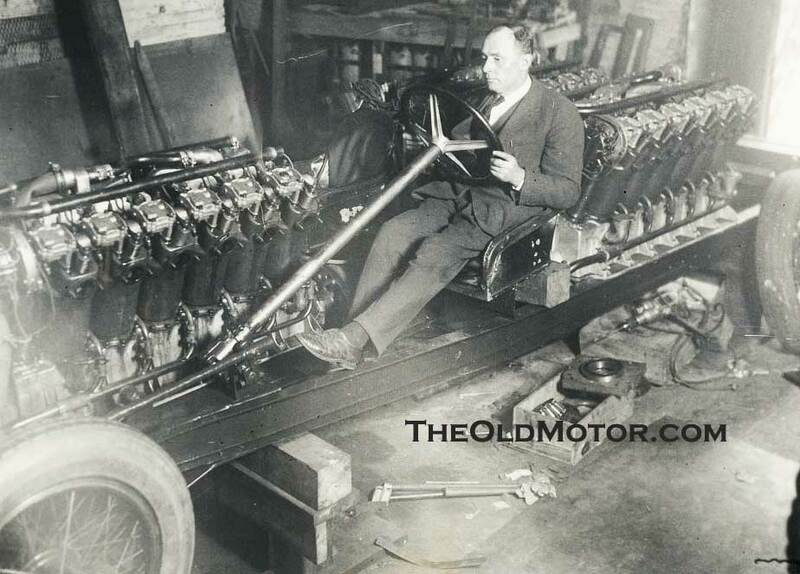 It turns out that the front axle and the front frame horns are from a Model 48 Locomobile. The rear axle and wheels and other parts on the car may also be from the same source. I will go back and see if I can find the photo of the reversing gear that I have seen recently and post it. Edited by THead, 15 May 2012 - 18:22. Vibration of this sledgehammer at idle must have been akin to a visit to the dentist As they are well known to say in the USA AWESOME ! the AAA representatives enforcement of the need for it, as shown in the Motor Age Magazine. it may have been taken off for the speed runs.